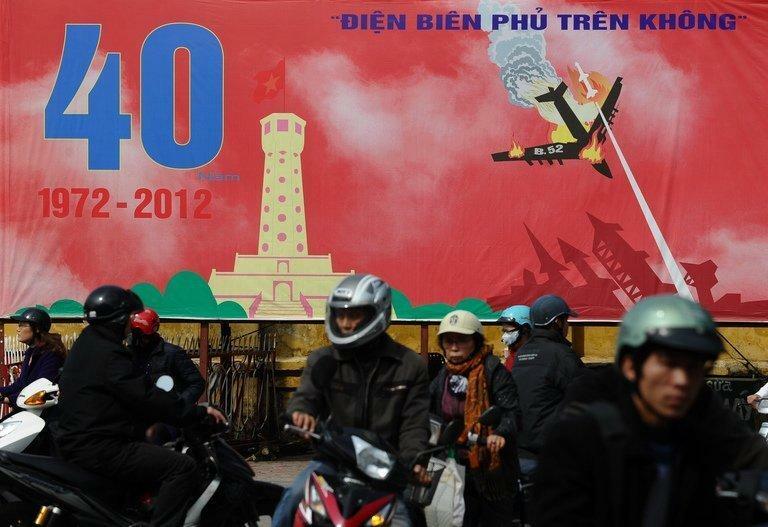 Posters of US bombers crashing in flames festoon Hanoi to mark another anniversary in a long-finished war. 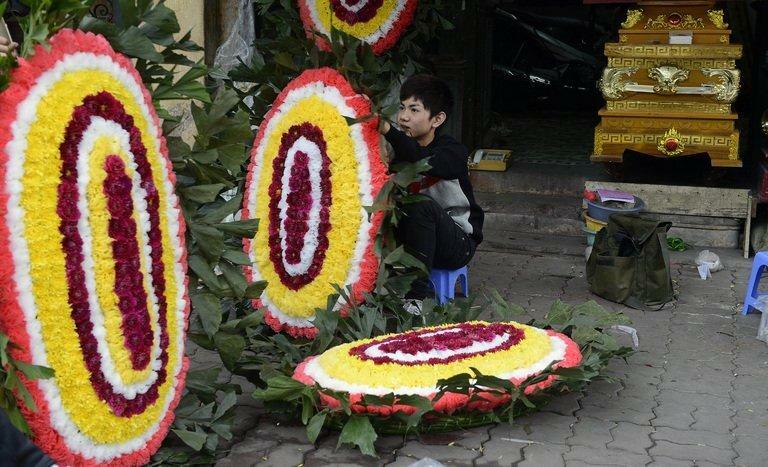 But behind the usual propaganda Vietnam's rulers face a modern-day threat -- anger over the economy. For years the leaders of the one-party state have leant on war-era nostalgia to shore up authority anchored in battlefield victories. With the state-dominated economy floundering, experts say touting decades-old military successes is no longer enough to shield the regime from growing public frustration. "The communist party is skating on thin ice," said David Koh, a Vietnam analyst from the Institute of Southeast Asian Studies in Singapore. "They must expect newer generations to look beyond these great moments of the past in deciding whether their political system is worth supporting." A key way to strengthen the party's legitimacy would be through serious economic reforms, Koh told AFP. Despite tight controls over the media and demonstrations there are signs of rising public dissatisfaction -- from a growing chorus of online criticism to daily, if small-scale, protests over corruption and land disputes in Hanoi. 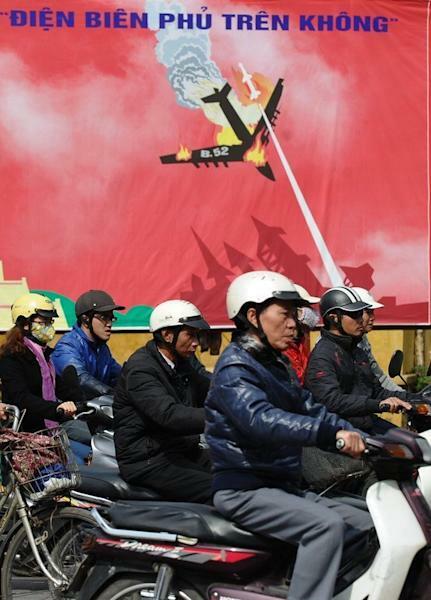 "The government should spend less time and money on celebrating historic events and pay more attention to improving people's lives," retired state official and ex-soldier Tran Van Duong, 65, told AFP. "Everyone seemed to earn less this year, everyone is complaining. People are not happy with the government's performance," he said, as the city marks the 40th anniversary of the 1972 "Christmas Bombings". The aerial bombardment saw American B-52s and other aircraft drop 20,000 tons of bombs on or near Hanoi after peace talks with North Vietnam broke down. Once touted as the next "Asian Tiger", Vietnam's economy has run aground -- its banking system drowning in toxic debts, foreign direct investment down sharply and dozens of major state-owned companies hovering near bankruptcy. From exorbitant healthcare costs and substandard education to traffic congestion, experts say the deep flaws in Hanoi's version of state-mandated capitalism are surfacing in all areas of daily life. "The formal political system doesn't work.... You can't run a country like this. It is sclerotic," said Adam Fforde, a professorial fellow at the Centre for Strategic Economic Studies at Victoria University in Melbourne. "People have lost confidence in the idea that there is somebody there who can pull levers and make things happen," he said. Over the past 20 years, Vietnam has used a Chinese-style mix of free markets and authoritarian governance to achieve rapid growth, but experts say deeper economic as well as political reforms are needed. The current economic sluggishness is intensifying pressure on the leadership. Around a million young people enter the workforce each year and economists warn job creation and skills training are not keeping pace. "The state apparatus is in a bit of a stupor," said Jonathan London, an assistant professor in the Department of Asian and International Studies at City University of Hong Kong. Despite being a one-party state, Vietnam has an "extremely fragmented power structure" within its vast communist apparatus, which means tough decisions are often not taken when needed, he said. From the World Bank to party economists, there is widespread recognition of what needs to be done to lift competitiveness and boost GDP growth that was this year the weakest since 1999. Reform the state sector, recapitalise banks and tackle corruption or "the dream of the economic miracle in Vietnam, which seemed like such a sure and palpable thing 10 years ago, will continue to dissipate," London said. The communist party itself seems aware of the problems -- at a plenum in October mistakes were admitted in the stewardship of the economy but no officials were sanctioned. Vietnam needs leaders who can stop powerful interest groups -- from the military to the major state-owned enterprises down to provincial officials -- running amok, in order to get the economy back on track, London said. "It is not clear who is capable of doing such a thing," he added. Instead, Vietnam is stuck with "a sort of corrupt, patrimonial style of rule that leads to Bentleys and Rolls-Royces on the one hand, and tens of millions of people who aren't doing so well on the other", London said.